A very good weekend for our Galway Clinic sponsored local community based soccer club Maree/Oranmore fc. Both adult mens sides progressed in the Connacht Junior Cup. 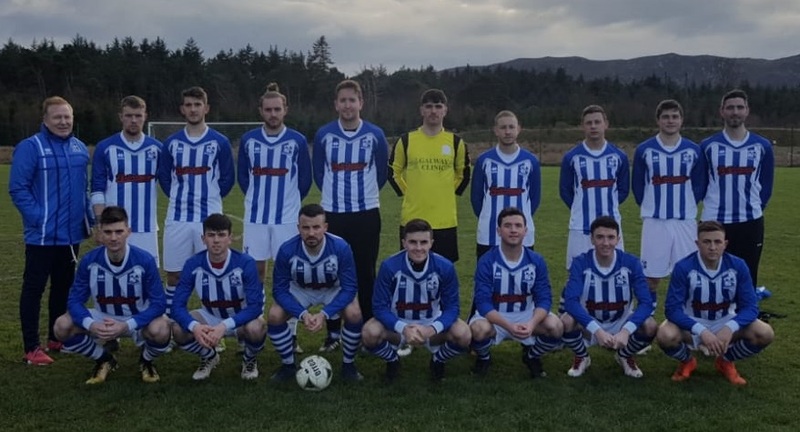 The Premier League side despite dominating in Ballisodare, Co Sligo had to go to extra time to eventually get through on a 2-1 scoreline against strong opposition. Both goals were courtesy of Neil Greaney, one of whom was a spot kick. Great to see the hard work of Don O Riordan and Hughie O Neill paying dividends. The clubs u21 side and a few reserves who play in the Connacht Cup as the clubs B side had an excellent 4-1 away victory to Castlebar Celtic B with goals from Luke Smyth, Oisin Doyle and a brace from Jack Egan. This marks the lads third win in the Connacht Cup after earlier wins against Mayo Clubs Ballyglass B and Snugboro Utd. Best wishes to Oisin Lyons who picked up an accidental jaw injury in a good competitive game. The u18 div 2 side had a fine 5-1 victory at home on Sunday afternoon against Bearna Na Forbacha Aontaithe with goals courtesy of the impressive Mark Mullins, Mark Shivnan, a brace from Luke Lally and a header from Patrick Ugbade after good approach work from Jason Meehan. Good performances also from Conor Mc Goldrick, Shane Mc Dermott, Matthew Forde and Adam Mulkerrins. Not so fortunate were the u18 girls who lost out to Cregmore/Claregalway on a 6-2 scoreline with the goals arriving from Tara Brogan and Ruth Tansey. The u15 Premier side had a very comfortable win away on Saturday afternoon in Furbo against a depleted Bearna Na Forbacha Aontaithe side with the goals arriving from Fintan O Regan, Ben Costelloe(2) and a hatful of excellent finishes from Gavin Smyth. The u14 div 2 side made with four wins from four with a very polished performance at home to Tuam Celtic B with the goalscorers being Neil Taylor, Adam Mc Grady, Maxime Ludjankov and a hatrick from the powerful Luke O Connor. Best wishes to excellent club central defender Alex Roberts who broke his elbow in an awkward tumble near the end of the game. Next weekend sees the club in u12, u14 and u16 connacht cup action among a plethora of other club games while this Sunday the St Columbas C.U Invitational Tournament continues for u9 and u10 boys sides. Last Sunday in splendid sunshine saw a feast of games for u8 and u10 girls with boys sides at u7 and u8 also in action.